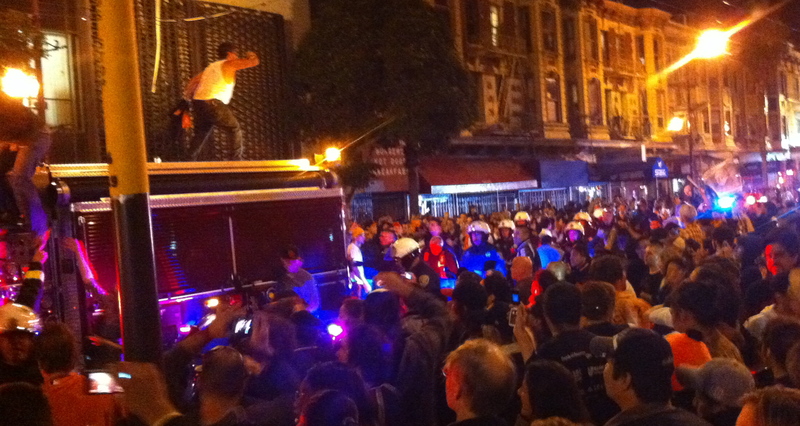 Here’s a 270º panorama I made of the fire truck climbing and dancing crowd. Jesse from Beer & Nosh has more shots of our fire truck roof dancing friends. Previous Previous post: Shouldn’t You Buy Them Dinner First?